In Poker, players attempt to create a winning hand through different ranks and combinations of cards, some of which remain hidden until the end of the game. Poker games vary in the number of cards dealt, the number of shared or “community” cards, and the number of cards that remain hidden. After the first cards are dealt, each player makes a forced bet (called “the blind” or “ante”) according to what he predicts is the comparative value of his hand. Moving clockwise, the next player must either “call” (match) the previous bet or “fold” (put down his hand and give up claims to the pot). A player who matches a bet may also “raise” (increase) the bet. 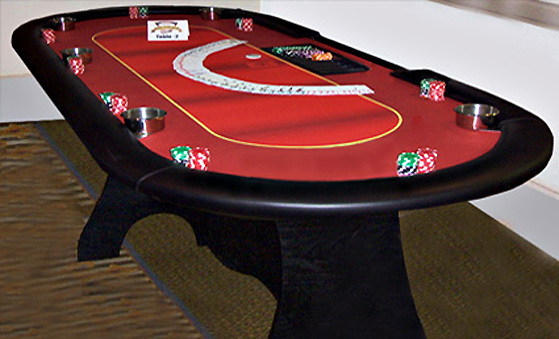 Players make bets due to various strategies of probability, psychology and game theory. Poker thus involves a mixture of chance and skill. The betting round ends when all players have either matched the last bet or folded. If more than one player remains in contention after the final betting round, the hands are revealed, and the player with the winning hand takes the pot. If all but one player folds on any round, the remaining player collects the pot and may choose to show or conceal his hand.